Loving these! Right now you can get Fall Graphic Tees / 12 Designs $15.99 (Retail $29.99) + Free Shipping. Fall is the season we all love the most. 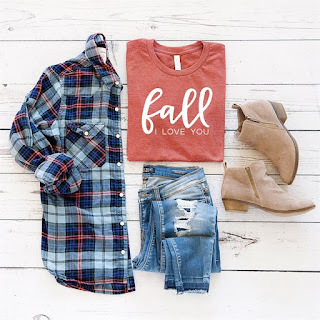 Embrace everything you love about fall with this tee collection. From being blessed and grateful to everything pumpkin, we got ya covered. *Each tee is made to order and screen printed in-house so the shipping time is longer.